February 6-10, 2012. Nogales, Arizona. A border town between Arizona, US and Sonora, Mexico. Here, on the US side of the border, Gary and Dorie Roycraft from Florida have been travelling for the past 10 years in their RV. 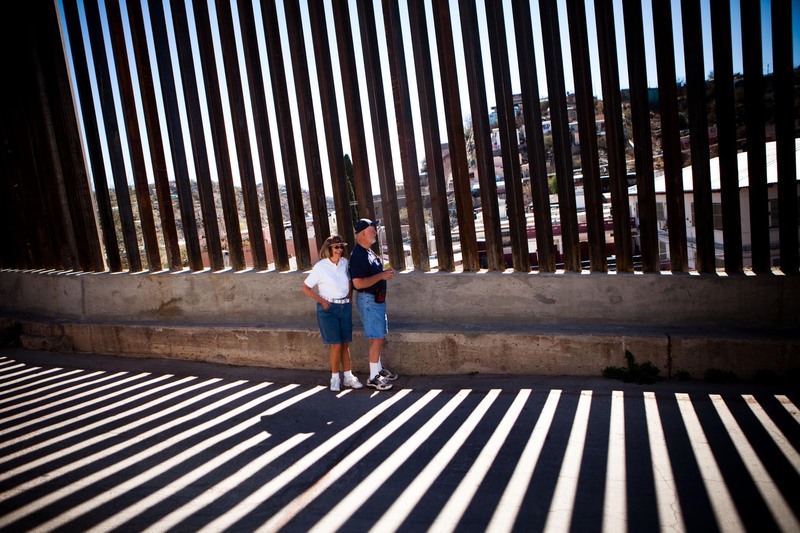 They came down to Nogales just to see the fence. "It's an amzing sociological thing here", said Gary, who majored in Hispanic-American studies in collage. Piotr Redlinski for The New York Times.